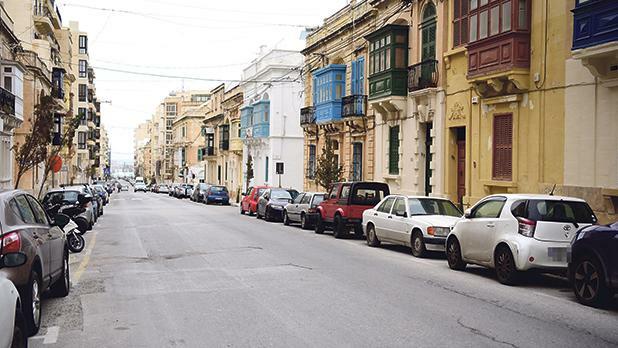 Six years after being overruled by the central government, the Sliema local council is still waiting the go-ahead to roll out a parking scheme that enjoys the residents’ overwhelming backing. The issue was raised in Parliament recently by Nationalist MP Karol Aquilina but, for the umpteenth time, the reply given was that the Transport Ministry was conducting a nationwide study on the matter. Moreover, Transport Minister Ian Borg said talks were under way with the Department of Local Government and local councils to find a way to improve the situation. The saga dates back a decade, when the Sliema council received the green light to introduce a residents’ parking scheme, similar to those in force in other localities. However, a rather turbulent period characterised by resignations and various changes at the helm, meant the scheme was put on hold for the rest of the council’s mandate. In April 2013, a year after a new council had been installed, the parking scheme was rolled out with half of Sliema’s parking slots reserved for residents. Parking in reserved areas was only allowed for up to two hours and any breach of the regulations would result in a €23 fine. The scheme was short-lived because, a few weeks later, the Cabinet intervened to suspend it. The decision came in the wake of a protest in the form of an hour-long strike by teachers in five Sliema schools. Subsequently, in June 2013, the scheme was repealed through a legal notice. Six years down the line it is still in limbo although existing schemes in other localities remain. Sliema mayor Anthony Chircop expressed disappointment on the state of affairs and the manner in which the council had been left in the dark on the matter. He recounted to the Times of Malta that the council had rolled out the scheme gradually on a trial basis to gauge the feedback and was willing to make some changes. “While it made sense to restrict parking in certain areas at certain times, circumstances in other zones dictated different arrangements,” he said. Mr Chircop pointed out that, three years ago, the council had sought the residents’ feedback on the matter through a survey commissioned to Misco. From this exercise it had transpired that close to three-quarters (72 per cent) of those interviewed were in favour of timed parking. “Yet, the authorities are giving us the cold shoulder and did not even react when the council filed a judicial protest against the decision to suspend the scheme,” Mr Chircop remarked.